Following on from the success of its inaugural sportive last year, Armagh Down Cycling Club is proud to launch this year's Gullion Tour 2017! Setting off from Newry on Sunday 30th April, The Gullion Tour offers cyclists from all over the island of Ireland the chance to take on one of two fantastic routes riding through the Ring of Gullion, an area of outstanding natural beauty. Flying Scotsman, John Archibald, (Pro Vision Scotland ) took the first stage of the Tour of the North in style. He got into a break of about 20 riders which was then reduced to about 15 riders. Archibald took off halfway and was never seen again. 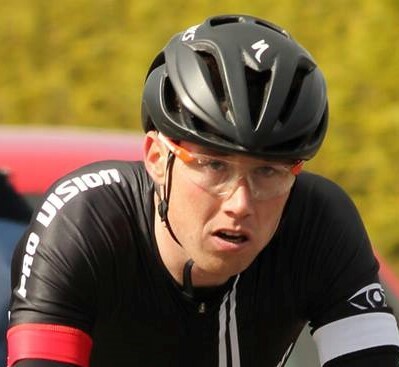 He crossed the finish line after 120km of hard racing around the Antrim Coast with a comfortable margin of 3m 28s over the chasers. This year’s O’Malley Scanlon Insurance Doochary Charity Cycle takes place on Saturday 22nd April and will be in aid of Pieta House Northwest. In 2015 there were 27 suicides in Donegal up from 16 in 2014. Mental illness and suicide know no boundaries and disregard age, class, gender and creed. Pieta House provides free, professional, therapeutic services for people who have attempted or are considering attempting suicide or engaging in self harm. Phoenix Cycle Club and Phoenix Natural Gas today announced the launch of the Phoenix Charity Sportive to raise vital funds for the Energy for Children charity, which aims to help disadvantaged children across Northern Ireland. Nearly 450 cyclists turned out for the 5th edition of the Magee Donegal Bay Spring Sportive. This event is quickly becoming one of the largest club organised Sportives on the Irish cycling calendar and a ‘must do event’ for all leisure cyclists and racers alike! A massive achievement for the modest sized club with just over 70 members! 3 New Routes for 2017 Along “The Wild Atlantic Way"
The “Spring Sportive” promoted by Donegal Bay Cycling Club, will take place on Saturday April 8th this year and once again the World famous Magee of Donegal will be the title sponsor of the event. On the 13th June 2016 many people were impacted by the sudden passing of Eamon McClean from a heart attack aged just 50. As well as being a wonderful father, husband, brother and son, Eamon was a friend to many. He was a Director of Speedwell Trust, based in Parkanaur Dungannon. It is ironic that Eamon died at work, doing what he loved most, bringing school children from both communities together through shared educational programmes. Velo Club Iveagh will be hosting their now annual ''Iveagh Spring Classic'' charity cycle sportive on Sunday 2nd April 2017. The event is open to everyone. Test your legs on this demanding 44 mile Belgian inspired classic, over hills including Rathfriland Hill, Boiling Well, and Windy Gap amongst others. The route will take in some of the most spectacular scenery the district of Iveagh has to offer. Entry: £12 via Entry Central and £15 on the day for Cycling Ireland licence holders. The West Down Wheelers Coastal Sportive took place yesterday and it was a challenge for hard woman and men. The riders faced snow, biting winds and 65 miles of hills around the beautiful Mourne Mountains with stunning sea views. However, the hard-working West Down Club made sure that it was all worthwhile as the they tasty homemade hot soup waiting for all the one hundred plus finishers back home in Katesbridge.